The Lady Bass Anglers Association Tour Stop #2 will be coming to Lake Logan Martin in Lincoln, Alabama the week of May 5-11, 2018. The event is sponsored by Lincoln Parks and Recreation. Anglers from all across the country will be competing in two divisions; a Pro Division and Co-Angler Division. Competitors are obviously competing for top spots in this event. Additionally, they are also accumulating points in the Angler of Year race and to earn a spot in the Lady Bass Classic to be held on Lake Bull Shoals in Diamond City, Arkansas in September. 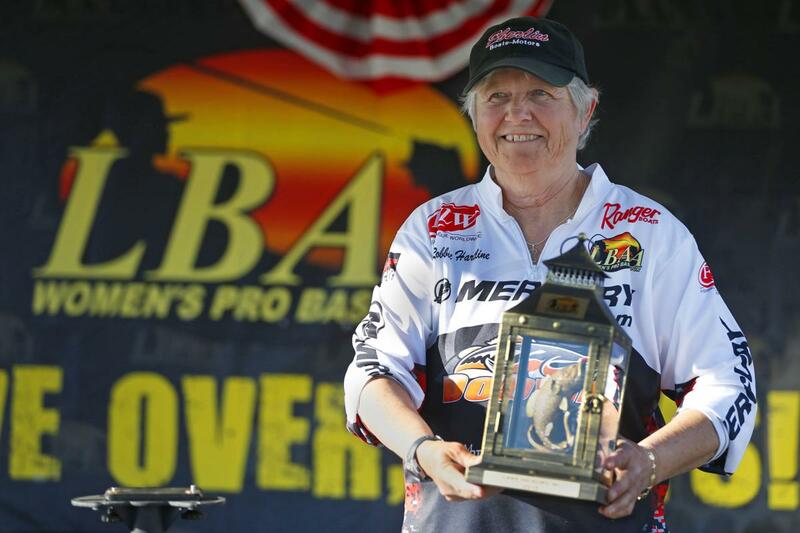 As the LBAA moves into this second event, Pro Angler Lynda Gessner of Arkansas is looking for her third win in a row. She had impressive bags during the three day Championship last October to earn the title of Lady Bass Classic Champion 2017. On Caddo Lake in March, she once again showed that she is a force to be reckoned with as she came from behind to capture the top spot on Caddo Lake. When asked about her strong finish and strong start, Lynda modestly states that “you have to keep plugging away and make the right decisions at the right time and trust that luck is also on your side.” Mickie Wolfinbarger, a Pro Angler from Missouri will be a strong contender as she won the Logan Martin event last year and was the 2017 Angler of the Year. Both ladies are fierce competitors so expect a great finish! Adding to the suspense will be the return of local angler Kim Bain-Moore! Kim has taken a leave from fishing with the LBAA to raise a family. This event being in her back yard has pulled her it! Kim is always a strong competitor! These are but three of the outstanding women fishing the tour! Look for a hard fought battle and great competitive spirit! In the co-angler division, Texas angler Alisa Johnson, who was the 2017 Co-Angler of the Year is looking to repeat again this year. She finished second in the Lady Bass Classic last year and strong third place finish on Caddo. Johnson stated, “I have a great support system and I go out every time looking to do my best and to improve. I always learn something from each pro I fish with at an event.” We have two anglers from the Lincoln area that normally fish as co-anglers but are venturing out on their home lake as boaters! Cassie Hall of Alabaster and Christian Baxter of Talladega are competitive and will gain a great deal of experience during this event. Each one has the capability of taking the top spot. Because the LBAA wants to encourage anglers to get that critical experience and one day move to the pro division, the points they earn at Logan Martin still count in their co-angler division. There are numerous new anglers who have jumped into the event to test their skills and compete this year. As boaters, Lisa Talmadge of Southside, Alabama and Rhonda Ford of Cave Spring, Georgia have joined in for this event, On the co-angler side Vee O’Neal of Jacksonville, Alabama and Cheryl O’Hair of Gardendale, Alabama are stepping onto the water! At each tour stop the Lady Bass Anglers Association members take part in events and activities to support the local community. This year there are two things taking place. On Saturday, May 5, 2018 from 9:00 AM until Noon anglers and their boats will be taking part in the Blue Eye Creek Festival sponsored by the Lincoln Parks and Recreation. The ladies will be there with their rigs and helping with the Fishing Derby for any young angler ages 1year to 13 years. The address is Crawford Street in Lincoln. For the second year in a row, the LBAA is promoting an event to support the Lincoln Food Bank. In 2017 we filled the boat! This year we are working to fill the truck! Bring food or cash donations to the weigh in on Thursday and Friday, May 10-11, 2018. The cash will be taken to a local supermarket to purchase food bank items. We invite everyone to come meet the ladies and be part of our event. Take-off will be Thursday and Friday morning at safe light from the Caribe private docks. Anglers will come in each day at 3:00 PM with the weigh-in to start at approximately 3:30 PM. Caribe is located at 84 Blue Eye Road, West Lincoln, Alabama. While there for the event join in on the two raffles that will take place. One is a year-long raffle with forty items to be given away in September. Those items can be viewed on the LBAA website. Look for the Sponsors/Raffle tab. A second drawing will be for two Lake Logan Martin event shirts autographed by all of the anglers competing in the Lake Logan Martin event. On the final day of the event, while the final standings are being verified, there will be lure tosses for kids and ladies. Lures have been donated and LBAA anglers will work with their spectator teams to capture lures! It is a lot of fun and the kids and ladies walk away with lures and other items. This event is being brought to the area by the City of Lincoln Parks and Recreation Department, and the City of Lincoln. Springer Equipment Company is sponsoring our Big Bass Award for the event. The LBAA tour sponsors are: HiTech Outdoors, Donely’s Marine, Clay Maxey Ford, Picky Vicki’s, Flat Out Tungsten and Bass Addiction. For more information on the Lady Bass Anglers Association, please visit our website at www.ladybassanglers.com. From there we invite you to follow us on Facebook and Twitter and subscribe to the Lady Bass Anglers Association You Tube Channel!